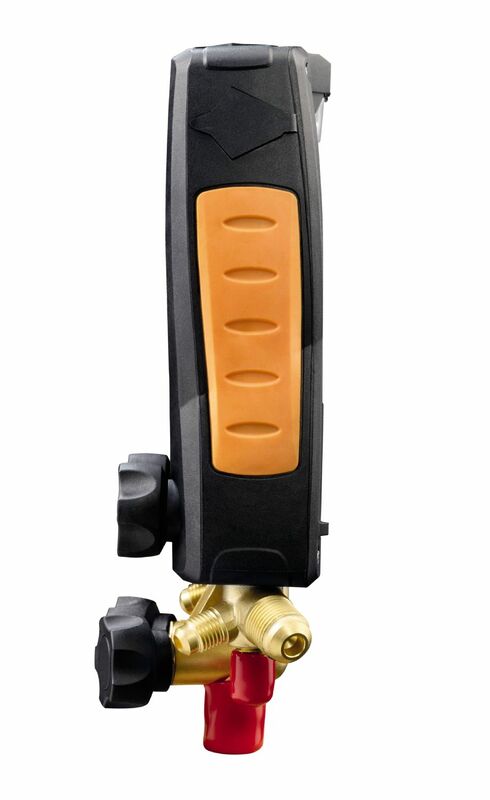 Are you primarily entrusted with the commissioning or maintenance of refrigeration systems or heat pumps? 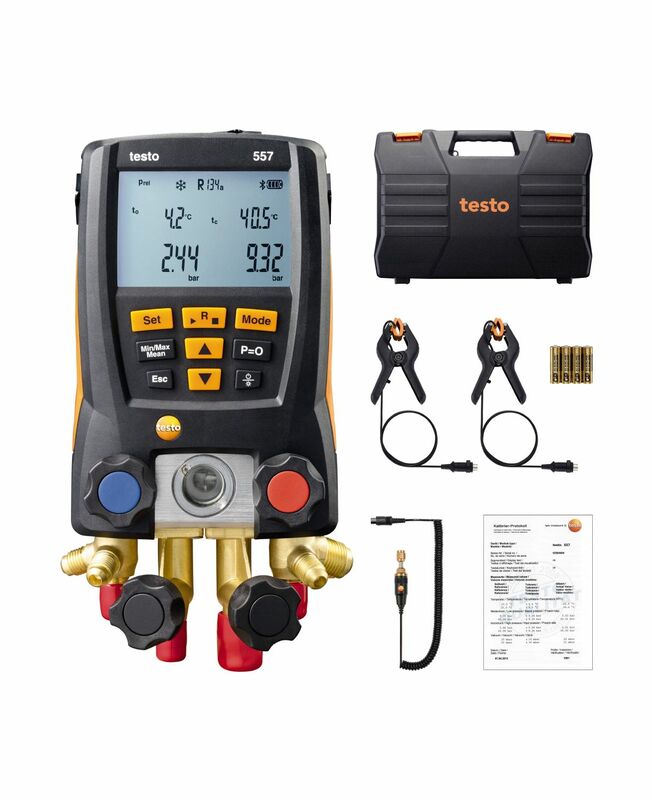 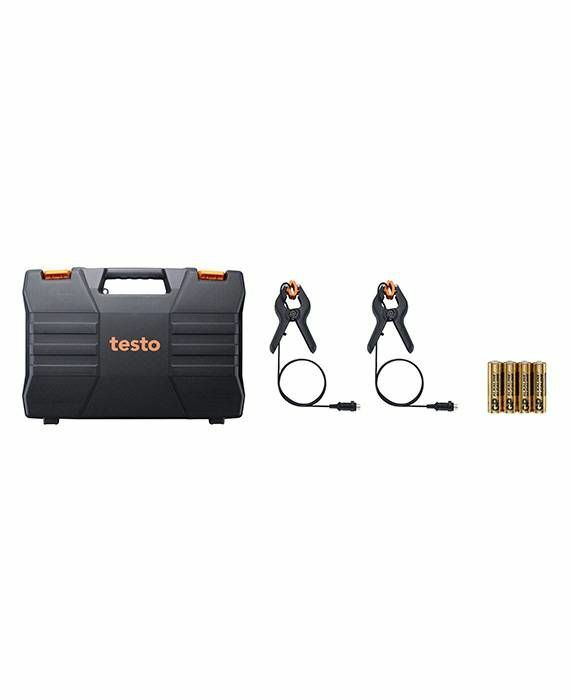 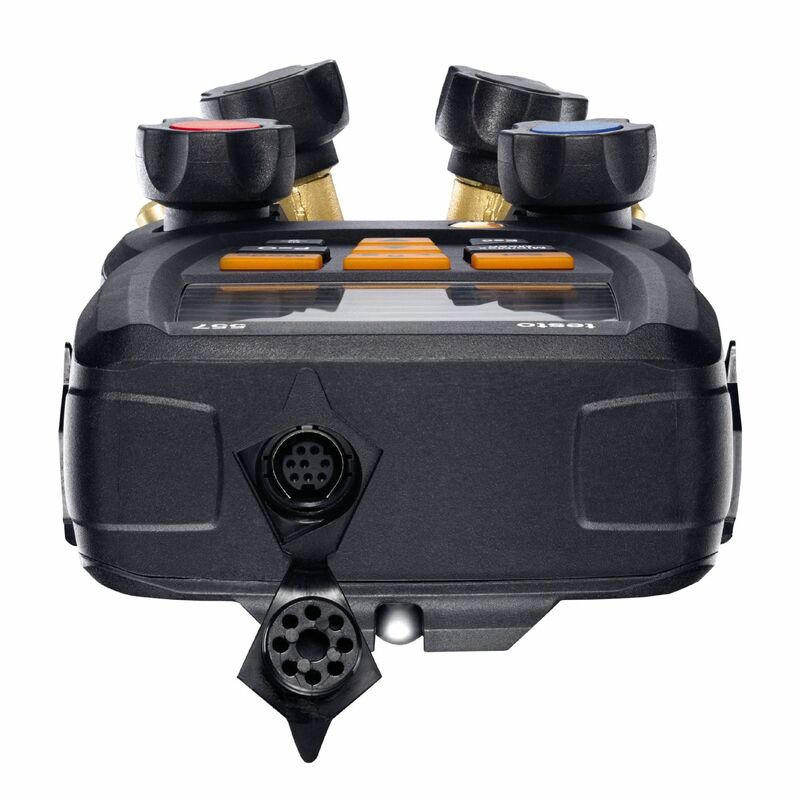 If so, the testo 557 is the ideal digital manifold for you: like the testo 550, this digital manifold replaces multiple tools in the refrigeration industry and can be connected to a practical app. 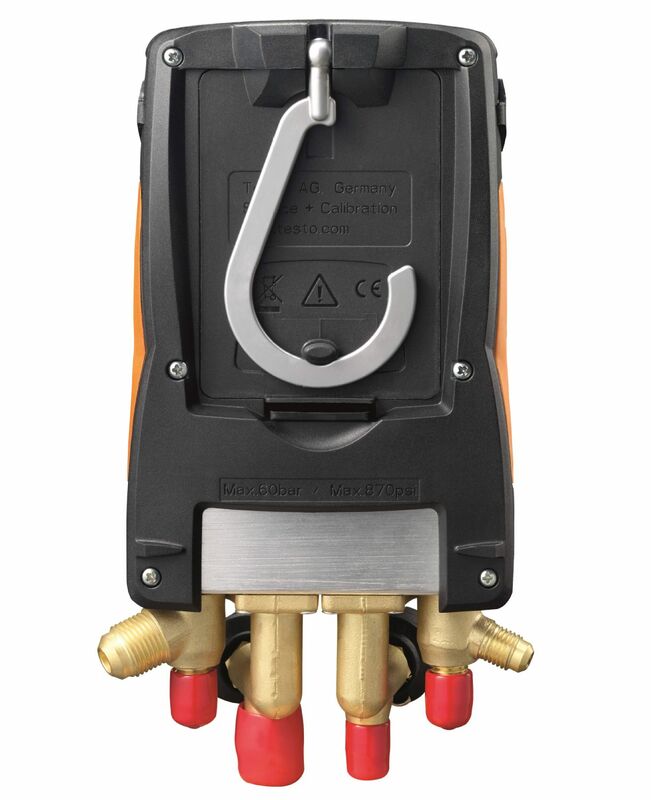 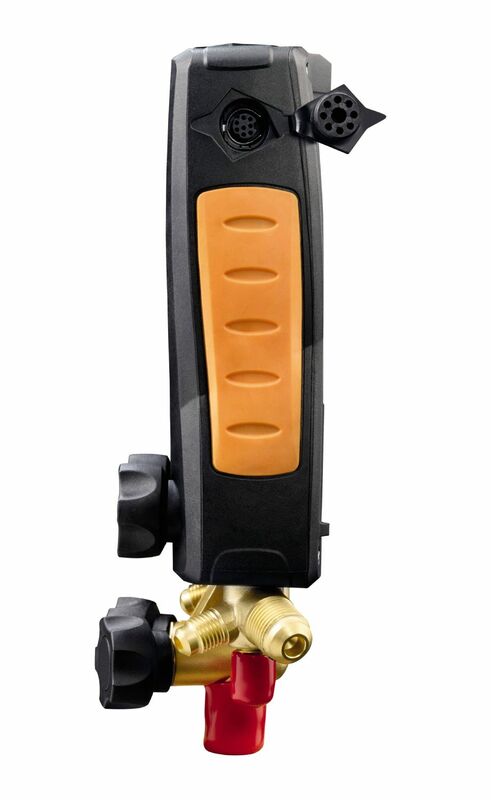 As well as the features of the testo 550 manifold, the testo 557 offers a high-precision external Pirani gauge for vacuum measurement: this enables the quick, safe evacuation of refrigeration systems and heat pumps. 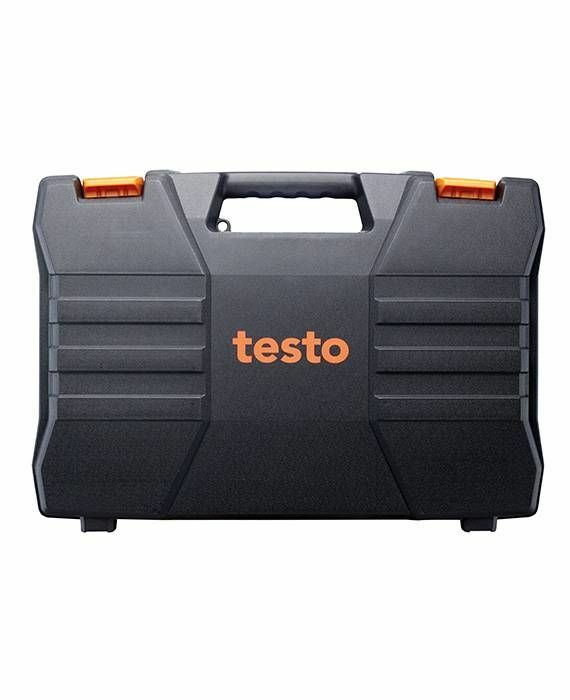 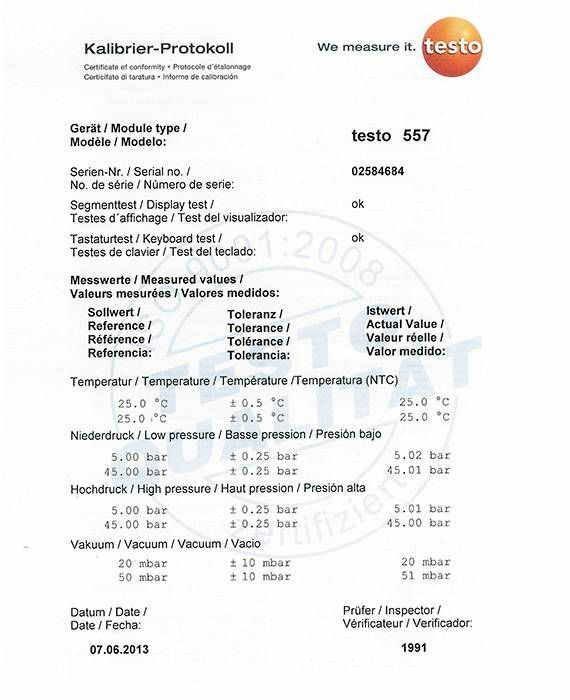 A sturdy housing reliably protects the testo 557 digital manifold from impacts (in compliance with protection class IP 42). 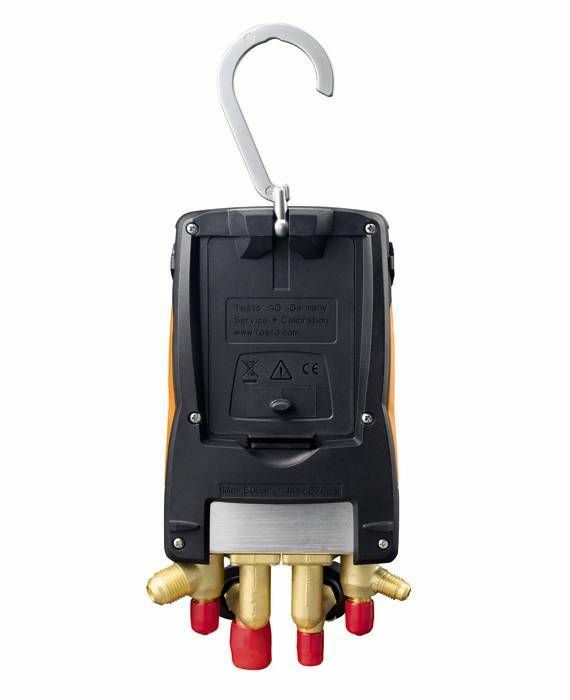 Thanks to the suspension hook on the back, the instrument is well-secured during the measuring process. 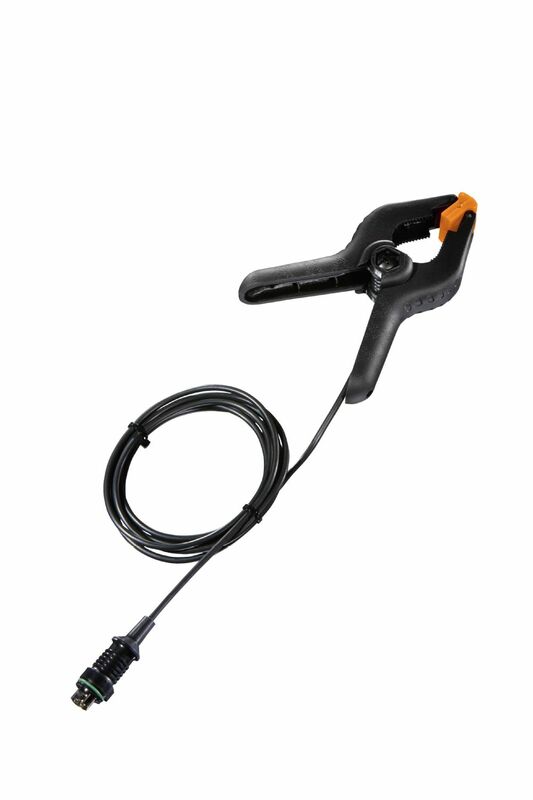 The illuminated display ensures optimum legibility of the readings, even if visibility is poor.